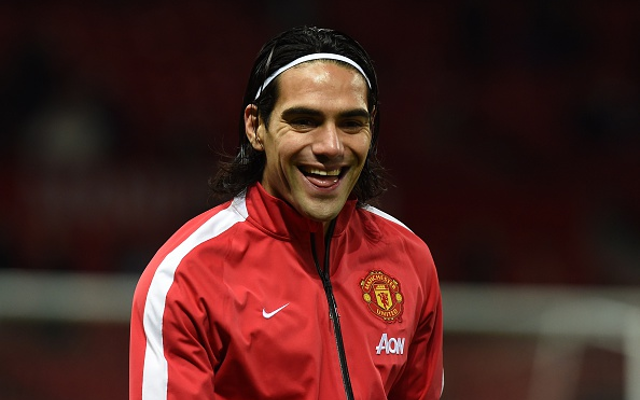 Falcao was left out of the matchday squad for the weekend defeat to Southampton. Radamel Falcao fears for his long term Manchester United future after he was sensationally axed from the matchday squad for the Premier League defeat to Southampton on Sunday afternoon, report the Mail, with the Colombian believing that he faces an uphill task persuading his manager to make a season long loan move from AS Monaco permanent at the end of the campaign. The report suggests that Falcao was unhappy that he received no explanation on the day for manager Louis van Gaal’s decision to leave him out of the squad altogether, but the two spoke at training on Monday and Falcao was informed that the decision was made for tactical reasons. Van Gaal’s decision to omit the Colombian backfired as an insipid United team were beaten 1-0 by Premier League surprise package Southampton, struggling to create clear chances throughout the match and squandering the few that did come their way. Falcao has been far from a roaring success since United made a shock deadline day move to secure his signature on a season long loan deal from Ligue 1 outfit AS Monaco, with just three Premier League goals to his name so far, and United are yet to decide whether to pay a huge transfer fee to sign the player permanently at the end of the season.